Alyssa Mathews is traveling the world to ride every breed of horse. 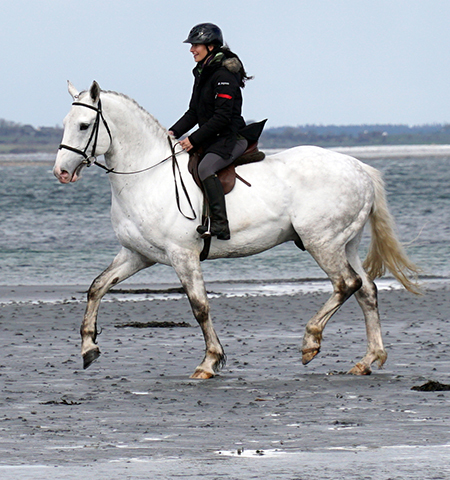 Here are five equestrian experiences of breeds in their country of origin. I am on a quest to ride every breed of horse in the world. One of my favorite ways to learn about a breed is to ride them in their country of origin. Each time it is a truly special experience. These are five of those adventures. Slovenia is one of those places that takes you by surprise and wraps you up in its abundance of beauty. There are castles, lakes with islands, mountain hikes, and a blue river that is so vibrant you feel like you are on a movie set. 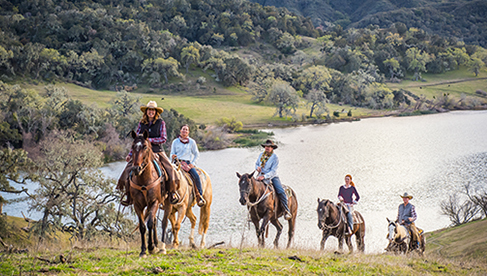 For horse lovers, this country holds a surprising reason to visit. 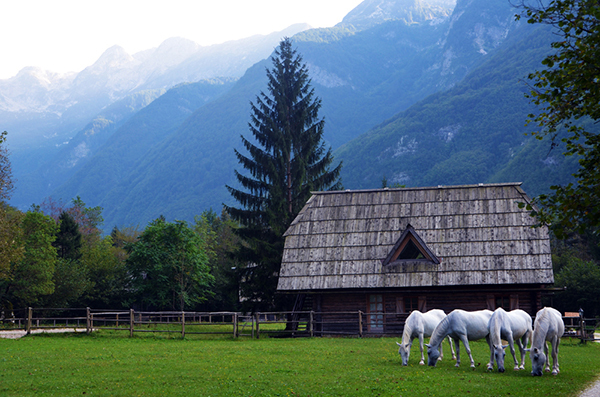 Slovenia is home to the original stud farm of the Lipizzaner horse. The story of the Lipica Stud Farm goes back to 1580. It is an excellent place to stop in for a visit. My Favorite Riding Moment: Trotting the Lipizzaner mare Slava down the road lined with beautiful centenary trees, turning onto a small path and cantering past the rolling pastures filled with mares and foals grazing. This breathtakingly beautiful country only has one breed of horse. But in a way, it makes the Icelandic horse even more mighty. 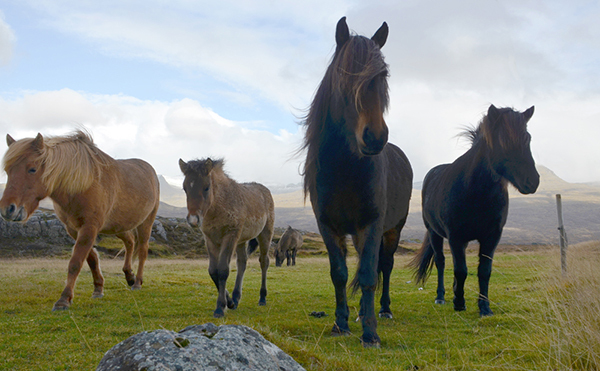 These horses have been raised in harsh and rugged landscapes for over 1,000 years. They may be cute and fluffy with their big hair, small size, and loving personalities. But they are the little “sports cars” of the horse world and can carry adults through the difficult and steep terrain. Icelandic horses have an additional smooth gait called the tölt. 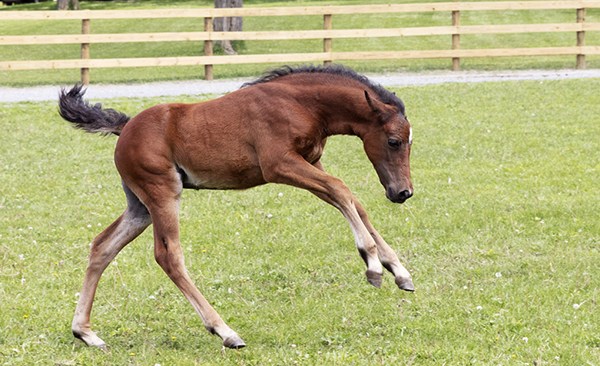 Some of them have a fifth gait called skeið or flying pace. Riding an Icelandic in their homeland of rainbows, waterfalls and black sand beaches is an absolute must for any horse lover. My Favorite Riding Moment: Turning the little “Ferrari” mare towards her barn, Hofstorfan - Hof á Höfðaströnd, transitioning into a canter, asking with a half halt and feeling flying pace for the first time! When you meet a breeder at the parking lot of a castle to take a champion stallion out for his first day galloping on the beach, you know you are in for one of those dream rides. Ireland is everything I imagined it would be and so much more. The people are welcoming and friendly. The green scenery and those long stretches of stone walls transport your mind to a past era. 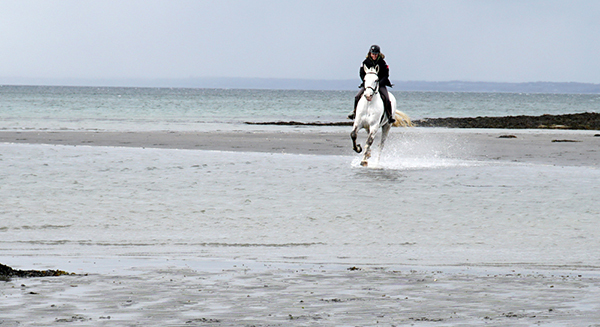 As for the horses...well...it is easy to see the reason why Ireland is known for having world-class equines. My Favorite Riding Moment: Cantering along on the beach and hearing Cappa Aristocrat's thundering hooves against the sand. I asked, “Ready boy?” Then, I let him go. As the water splashed all around us, the world sped up and stopped all at the same time in a moment of pure perfection. A moment I will cherish my entire life. A special part of this quest is all of the research and discovery. I often come across breeds that I previously had no knowledge of. 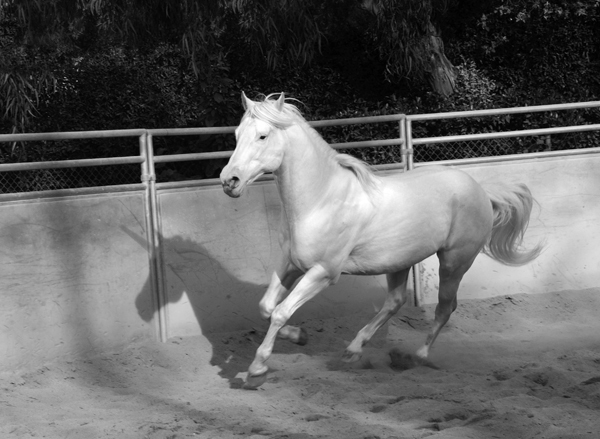 The Camarillo White is one of those horses. A trip to the beautiful state of California brought me to meet a breed that has been around for over a century. With less than 30 registered horses, they are one of the rarest breeds in the world. My Favorite Riding Moment: When I first mounted up on the white gelding Destillo and looked down at his mane, he was literally shining up at me. At that moment, I seriously considered the fact that I might be riding a Unicorn. You may visit Vermont to see the impressive display of fall foliage or to taste the famous maple syrup. 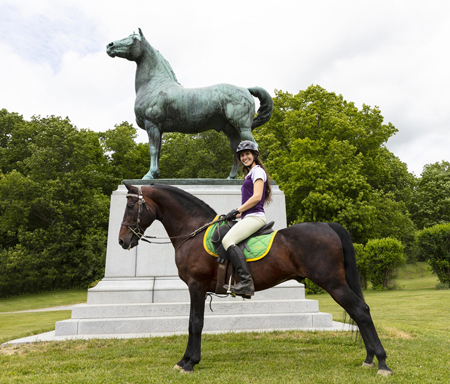 But did you know that the official state animal of Vermont is the Morgan Horse? The University of Vermont Morgan Horse Farm is the oldest continuous Morgan breeding farm in the world. They give tours of the farm where you can see the horses and learn the history of the breed. My Favorite Riding Moment: Trotting up the driveway on the majestic stallion UVM Abington, weaving through the branches of the willow tree and catching glimpses of the old white barn that has held generation after generation of Morgans. By traveling to a place where a breed originated, we catch an authentic glimpse of the past and are able to see things from a unique perspective. It is a chance to connect with the amazing people that are building the future for these horses. About the Author: Alyssa Mathews has been riding for almost her entire life. She has ridden over 50 breeds in eight different countries so far. She is the founder of DiscoverTheHorse: One Woman's Quest to Ride Every Breed. When the project is finished, it will be the largest equine education project of its kind. 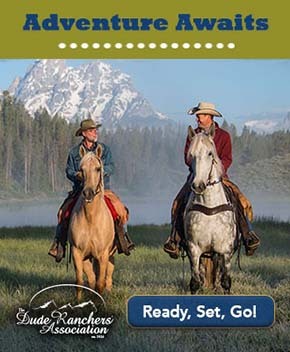 Follow the quest on Facebook and Instagram or visit the website: DiscoverTheHorse.com.